​So first is the Glow Recipe Watermelon Glow Jelly Sheet Mask. I have nearly the entire Watermelon range from them, I think, now. Smells divine. Very cooling and feels great on the skin. I think that a sheet mask is just right for it. Patchology Rejuvenating Eye Gels. These have been a favorite of mine for about a year. They're what I use on my friends for every single event. I'm not kidding, especially for a wedding, for my most recent one we all had on sheet masks and then eye gels while watching Hocus Pocus and eating cupcakes before we got ready. These are amazing in the morning, as well as at night before I go to sleep. They're are just some added hydration and comfort to that area. Kokostar Rose Lip Mask. I'll be honest the only lip masks I use are in the forms of balms like the Laneige Lip Mask. I don't ever use the lip sheet masks. I just can't get on board with it. Lapcos Pearl Brightening Mask. I've had these masks before. I've have quite a few from Lapcos. They're really nice. Star Skin Beauty Exfoliating Foot Mask. I'll be honest, I'm gonna try this out of curiosity. It's not something that I ever look for though. So in other words I'm gonna try this because I have it, it's not something that I'd search out to buy though. Of course, this might very well change my mind. GlamGlow Supermud Mask. Out of all the masks they make, this is the OG. I'll be honest I've bough this in the full size long before I started this blog, then I tried a few more in samples. I was never "wow-ed" by them especially not for the price. That's where the biggest issue is for me. The price just doesn't make sense for the results that you get from this, when you could buy nearly any other "mud mask" on the market. So this really is a pass for me....a hard pass. Lastly, my favorite item. Invisibobble hair rings! My Poodle, Savannah, swears by these and considering she's a hair guru/hair whisperer I tend to really pay attention to what she uses and likes. I had never had these but they are super nifty and they don't really crease my hair. I like the clear types because they aren't super noticeable and your pony, or bun, doesn't really budge. It also doesn't make your scalp hurt either. Theirs 3 in this little guys and I'm assuming their minis but they work just fine on my super long hair. So that's it. That was this month's box. 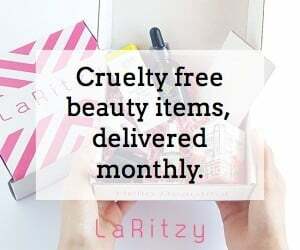 I'm going to leave my affiliate link here, if you'd like to sign up for your own Allure Box. I'm really excited to see December.